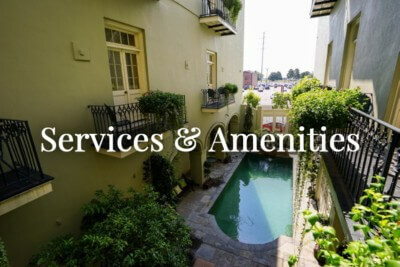 Bienville House Hotel is perfectly situated in the heart of New Orleans’ historic French Quarter. 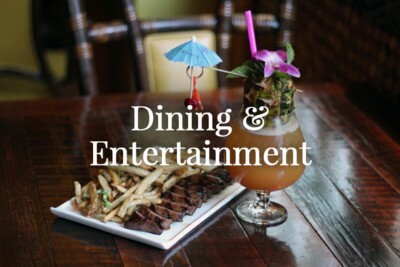 Our 80-room hotel has a distinctive and boutique feel, offering guests a historic experience like none other. It features premium accommodations including a heated, salt water pool and luxurious amenities throughout. Book your room today and experience America’s most interesting city: New Orleans. 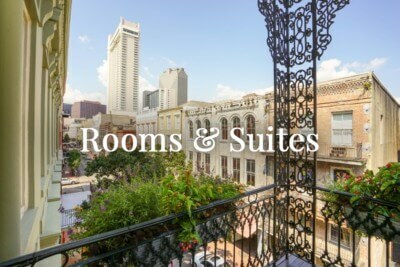 Bienville House Hotel is home to Latitude 29, and just steps away from premiere French Quarter attractions, including the antique shops on Royal Street, the late-night jazz clubs of Bourbon Street and world-renowned New Orleans restaurants. Our French Quarter hotel is also close to the Shops at Canal Place, the Audubon Institute Aquarium of the Americas, Woldenberg Park, Entergy IMAX Theater, the House of Blues, Cafe Du Monde and Jackson Square. When you stay with us, you’ll find centuries-old historic buildings, museums, voodoo shops and more just a short walk from your hotel room. When you walk into Bienville House Hotel, you might feel as though you’re visiting a centuries-old French manor rather than an upscale New Orleans hotel. The lobby is elegantly appointed with hand-painted murals and old world furnishings. A flagstone courtyard surrounds a crystal blue pool and wrought iron balconies grace many of the guest rooms. Four welcoming sun decks invite you to relax and drink in the sights and sounds of the historic Crescent City. 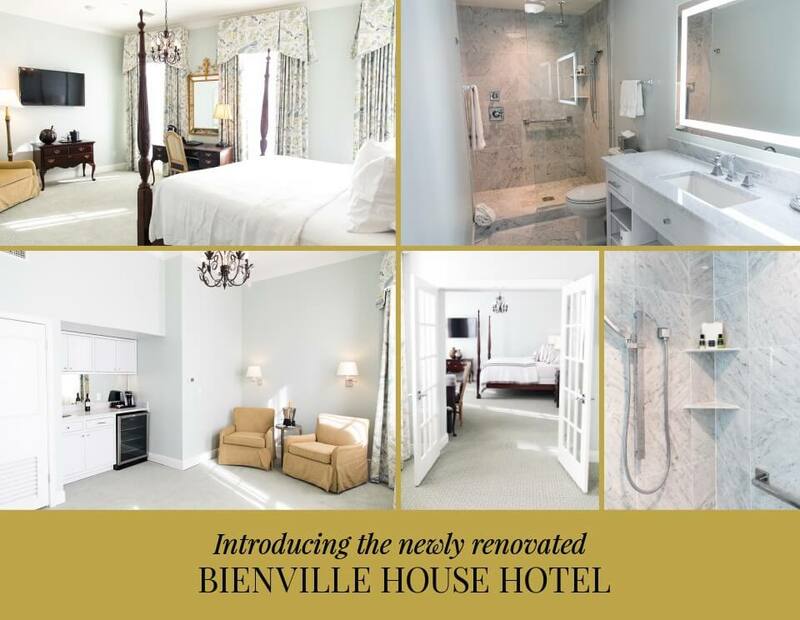 Bienville House Hotel is a French Quarter hotel like no other, one you will want to visit again and again.